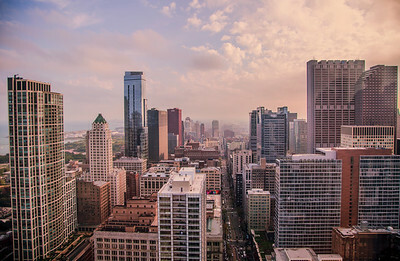 Photos of Chicago, Illinois including Michigan Avenue, Millennium Park, aerial photos of Chicago, and more. 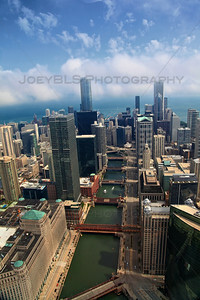 Order prints, license for commercial use. 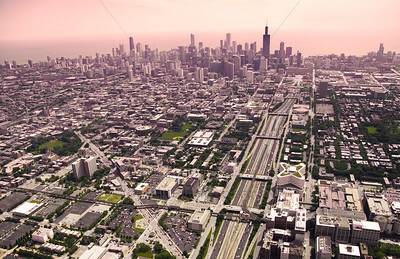 Aerial shot of Chicago, featuring Willis Tower (formerly the Sears Tower), Trump Tower, Aon Center, Harold Washington Library, University Center, CNA building, Prudential building, the Red Line and the John Hancock building. 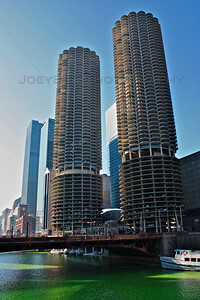 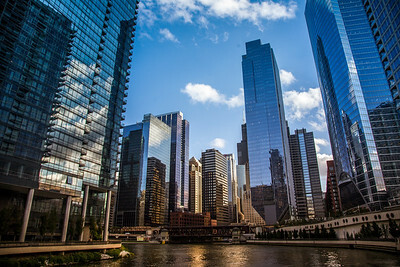 The Marina Towers overlooking a dyed green Chicago River around St. Patrick's Day in Chicago. 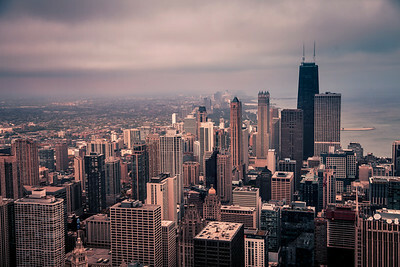 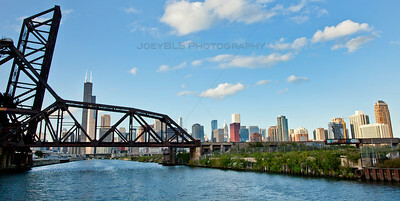 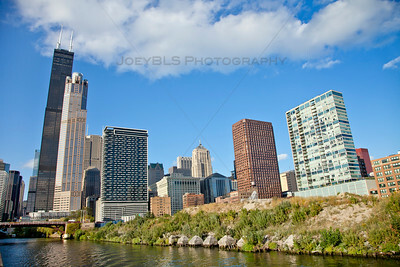 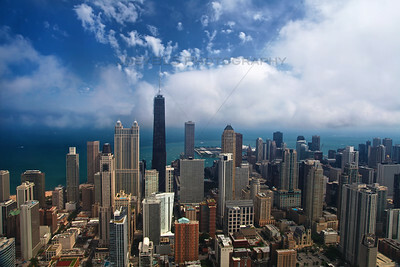 An aerial photo of downtown Chicago facing east over the Chicago River. 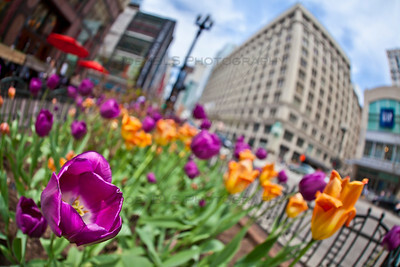 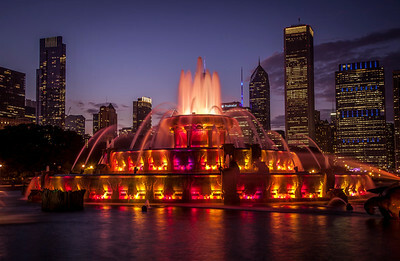 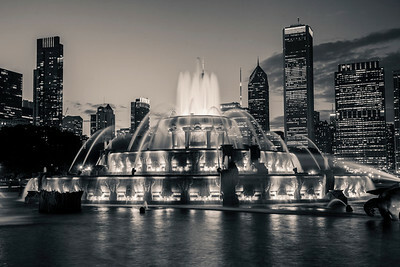 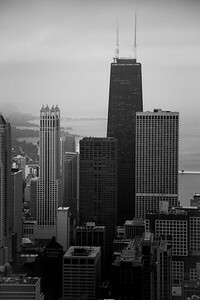 In this photo, the John Hancock, Water Tower Place and Lake Michigan. 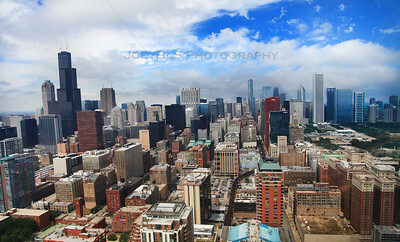 An aerial photo of downtown Chicago facing east over the Chicago River. 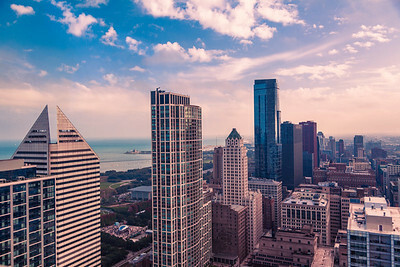 In this photo, the Merchandise Mart, Marina Towers, Trump Tower, Aon Center and Lake Michigan. 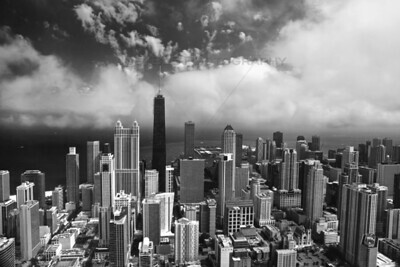 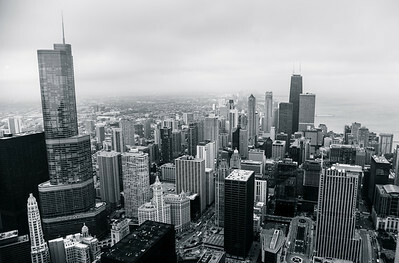 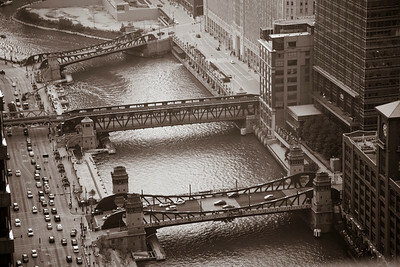 A black and white aerial photo of downtown Chicago facing east over the Chicago River. 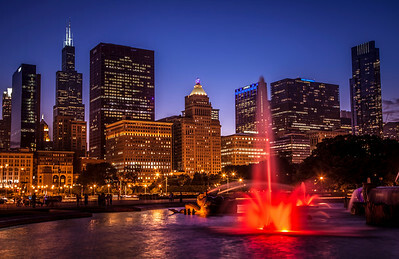 In this photo, the John Hancock, Water Tower Place and Lake Michigan. 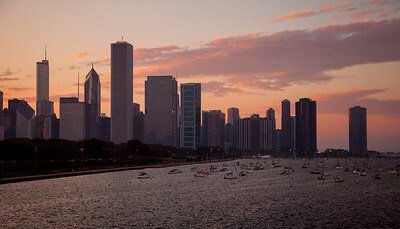 The Chicago skyline as seen from the Adler Planetarium just after sunset. 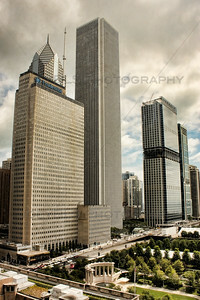 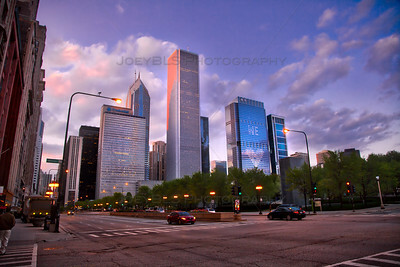 The Prudential Towers in Chicago alongside the Aon Center along Randolph St near Michigan Ave.